“Trials are about persuasion. What makes persuasion easier? For me, it’s three things: I prepare really hard, I have a knack for translating complex material into simpler, more understandable arguments, and I get along well with others. Combining those traits helps obtain superior results." 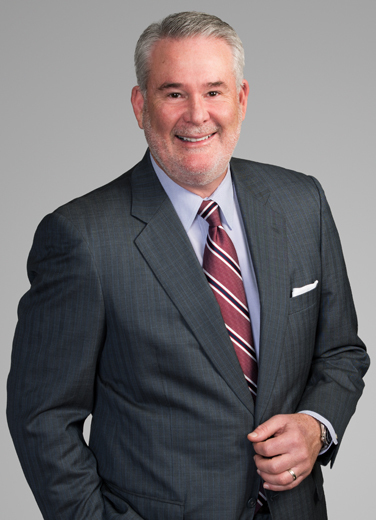 Keith also has experience litigating claims involving catastrophic explosions and fires, engineering malpractice, property construction, and oilfield reservoir damage. Keith formerly served as Liskow & Lewis’ president and managing partner – roles he held for six years until he termed out. He is a Fellow in the American College of Trial Lawyers. After law school he served as Clerk to the Honorable Alvin B. Rubin of the United States Court of Appeals for the Fifth Circuit. And before law school, he sailed as an engineer and deck officer aboard various oceangoing ships in foreign and domestic trade, and served as a Lieutenant in the U.S. Naval Reserve. "I love to play golf and travel. And I fly fish when I get the chance."